THE FUTURE OF INJECTABLE DRUG DEVICES IS HERE! 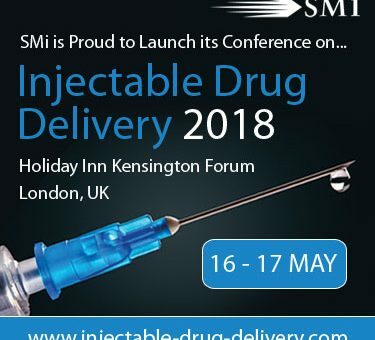 The highly anticipated 3-day conference will gather the growing injectable drugs community, filled with industry thought leaders and drug development experts involved in: device design, manufacturing, liquid and parentals, R&D and pharmaceutical process development. If you haven’t checked out the agenda yet, download a brochure today to see the full line-up of speakers and a detailed programme for 2018. Hear from a global panel of over 16 speakers to strengthen knowledge in key topics such as the development of next generation devices and the patient experience, whilst staying at the forefront of technological breakthroughs to adapt to growing drug production demands. – Roche, to learn the specifics and background of novel delivery technology, which involves weight-based dosing limits. – GSK, who will discuss how to engage with stakeholders, designing with the end users and other parameters and requirements in the field. – Sanofi, to examine the theoretical aspects of protein aggregation and oxidation with real-life industrial examples that illustrate the possible traps found in the fill & finish processing. – Janssen, to uncover design strategies and learnings for pharmaceutical delivery systems using real life examples. – LEO Pharma, to explore what it takes to be patient centric using hands on experience with study designs and implementation, involving key stakeholders in the process to secure anchoring of study insights.